Mightex is a leading developer of advanced illumination sources for cell biology. The Polygon400 patterned illuminator offers users precise spatial, temporal, and spectral control of light to target multiple cells or sub-cellular features for applications such as optogenetics, photoactivation, and photoconversion. The Polygon400 is the market-leading patterned illuminator that provides precise spatio-temporal control of light with single-cell or sub-cellular resolution, making it the perfect illumination tool for life science research. 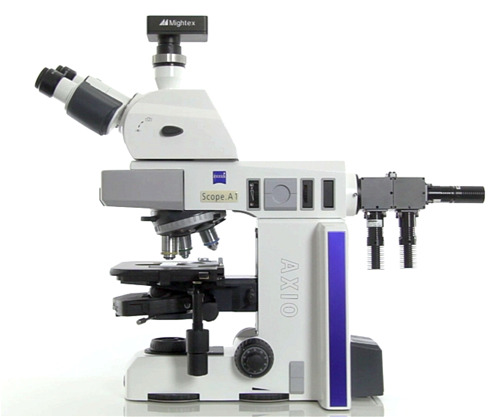 Compatible with any upright or inverted microscope, Polygon400 enables researchers to send light to anywhere on their specimen, and in any shape, size and complexity. 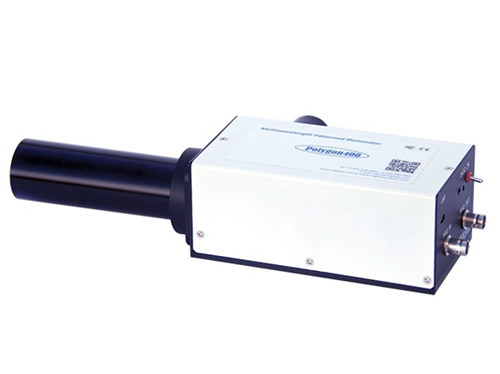 In addition, multiple regions of interest can be illuminated simultaneously, and different wavelengths of light can be used with the Polygon400 for different bioscience applications. Furthermore, the Polygon400 can be seamlessly integrated via TTL into a larger system with other equipment such as electrophysiology equipment or cameras. The Polygon400 DSI-G is a flexible solution for patterned illumination, as this patterned illuminator can be used with any lightsource (400-700nm) that accepts a 3mm core lightguide. Thus, the DSI-G provides future flexibility for different wavelengths and lightsources, depending on your application. The Polygon400 DSI-D is a flexible solution for UV patterned illumination, as this patterned illuminator can be used with any lightsource that accepts a 3mm core lightguide. Unlike the DSI-G, the DSI-D has been optimized for UV illumination (350-700nm) applications such as, uncaging and photopatterning. In addition, the DSI-D provides high-resolution illumination with a smaller field of view. Mightex multi-wavelength Microscopy LED Solution is designed with flexibility and upgradability in mind: the light sources are constructed using ‘standard’ building blocks, and hence they are scalable and reconfigurable. Customers can easily add new wavelength and/or change/remove wavelength in his setup with most reusability of the parts that they have purchased. Mightex’s multi-wavelength microscopy LED light sources employ the state-of-the-art dichroic mirrors to combine multiple LEDs into one single beam with high optical efficiency, without the need of using any mechanical moving parts. As a result, customers can turn On/Off or modulate any LED or any combination of LEDs at ~μs acuracy, and the output power of each and every LED can be adjusted individually or in unison and with high precision.